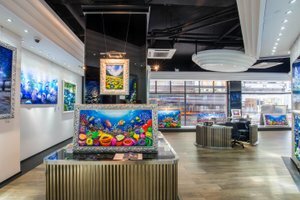 This contemporary Gallery is in the bustling area of Causeway Bay, near a number of shopping malls and the MTR station. 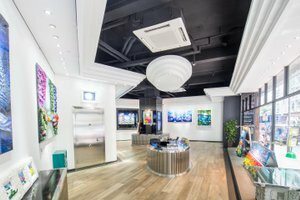 It is an ideal location for brands to host an Art Event or Product Launch. 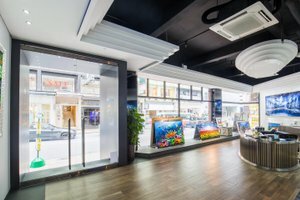 With a curated frontage and an entire glass display window, this gallery offers good visibility and is filled with a bright natural light. This open gallery is one-of-a-kind with art nouveau interiors of wooden floors and white walls, with extensive windows and a brilliant atmosphere. 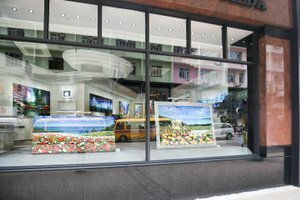 With facilities including television, chairs, and tables, this gallery can accommodate a range of art events. 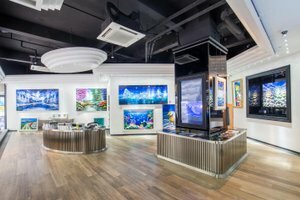 Located close to a number of shopping malls, this gallery is easily accessible and a great location for product launches and art events.